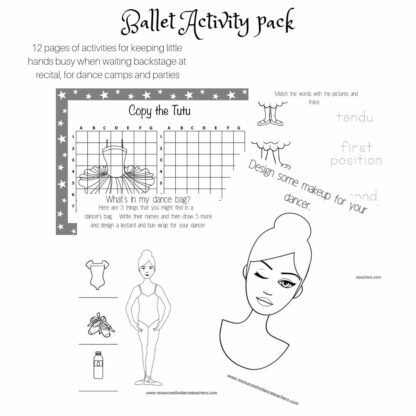 This ballet activity pack is perfect for keeping little hands busy backstage at dance recitals, for summer camps, ballet parties or for use with your regular ballet program. The ballet activity pack includes a set of 12 printable activity sheets that your tiny dancers will love and are perfect to keep kids entertained at dance recitals and dance camps or parties. 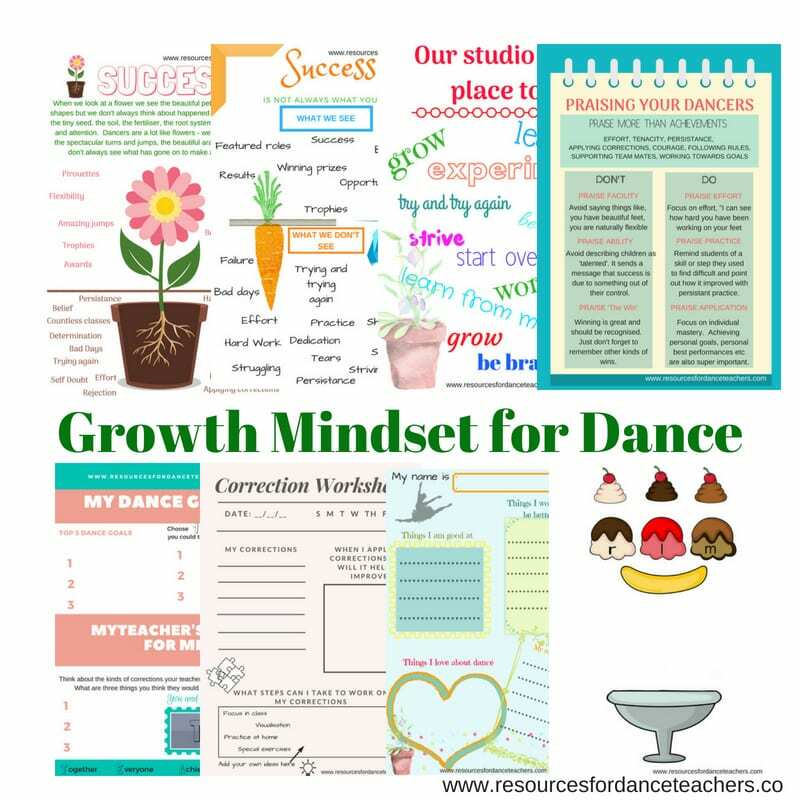 Print them again and again, print them as a booklet to be used in dressing rooms at dance recitals or choose individual sheets depending on the occasion – never be stuck for a ballet craft activity again. 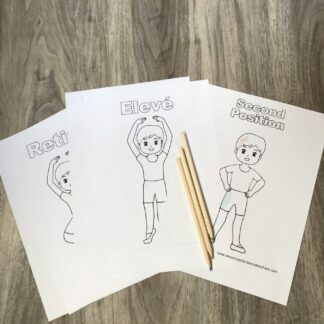 The activities can be used in a number of ways. 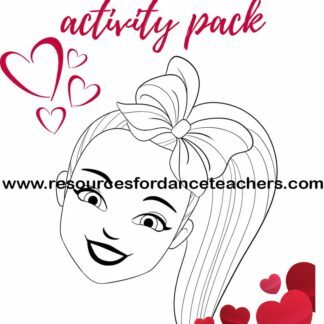 When using as dance recital activities to keep kids amused when waiting in their dressing rooms all the activities work beautifully as coloring activities. 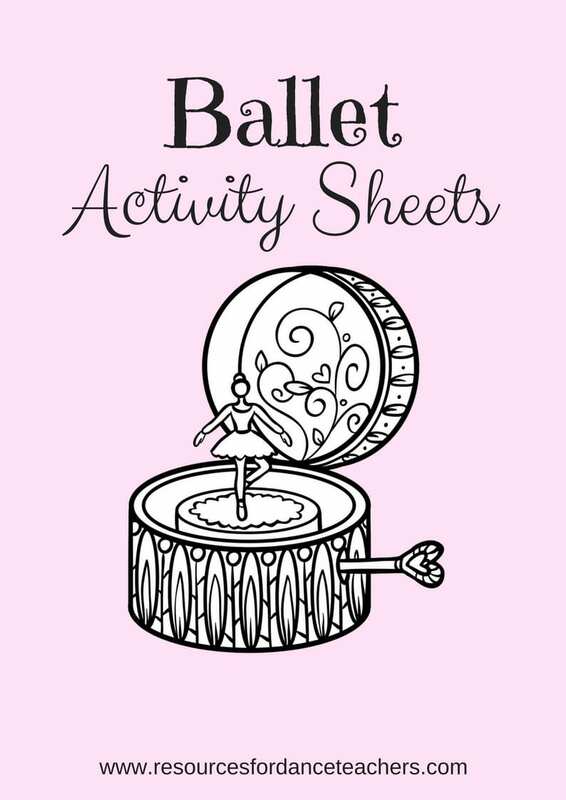 For ballet camps or ballet parties, activities can be used with embellishments for a full ballet craft activity. 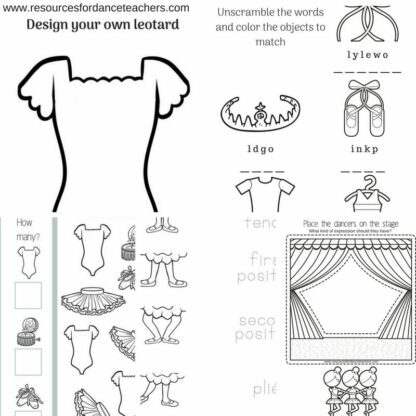 Ballet scramble – unscramble the colors and color the bow, tiara, ballet shoes, tutu and leotard. 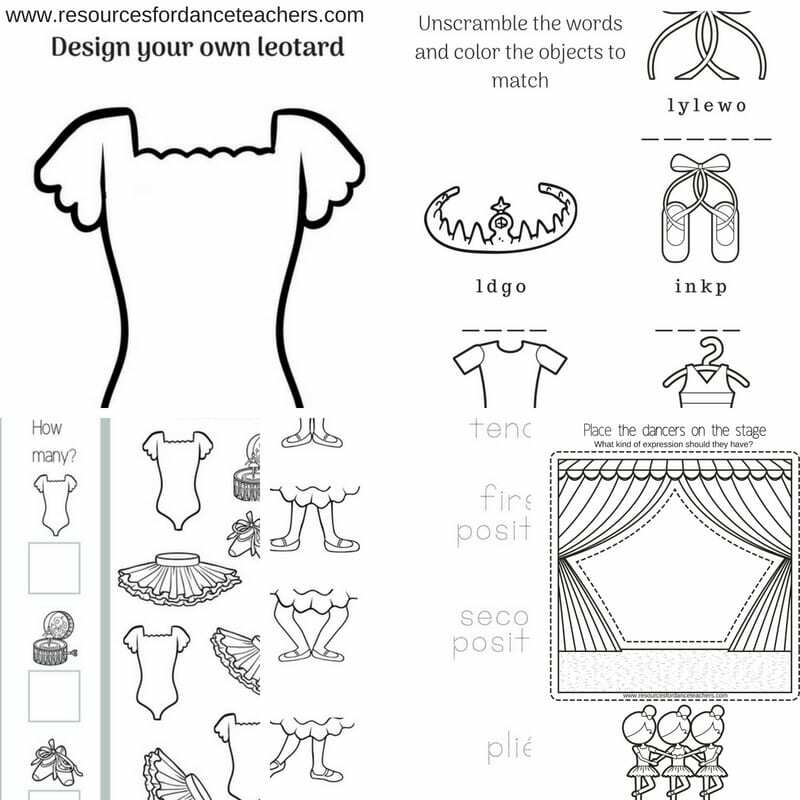 Place the dancers on stage – a color, cut, paste activity – color the stage and the ballerinas, then cut them out and put them on the stage. 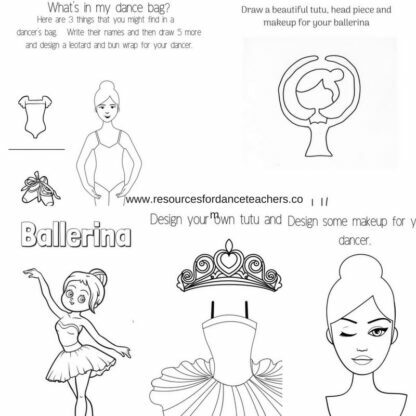 Time to get creative and draw a beautiful tutu, headpiece and makeup for a beautiful ballerina. 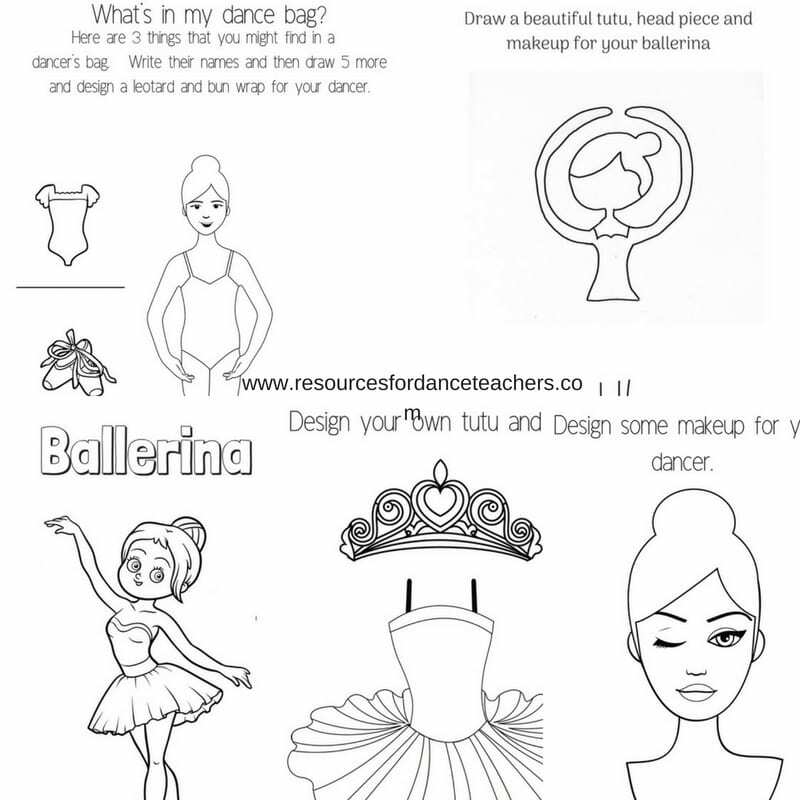 Works as a colouring activity and also as a ballet craft activity with stick on jewels, tulle and other embellishments. Kids love this one! Design some stage makeup! This is so popular and can be used again and again. Choose some colors and decorations to make a beautiful tutu and tiara. 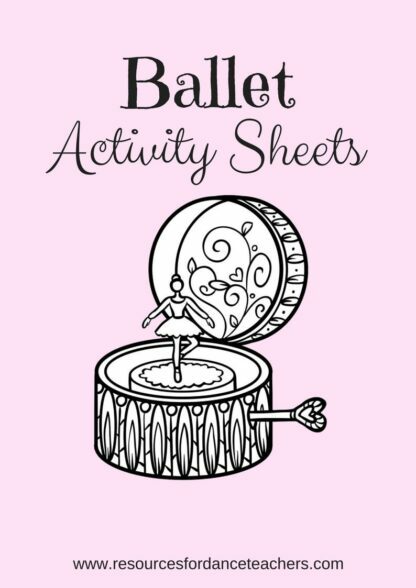 Great for coloring and also with other embellishments for a ballet craft activity. 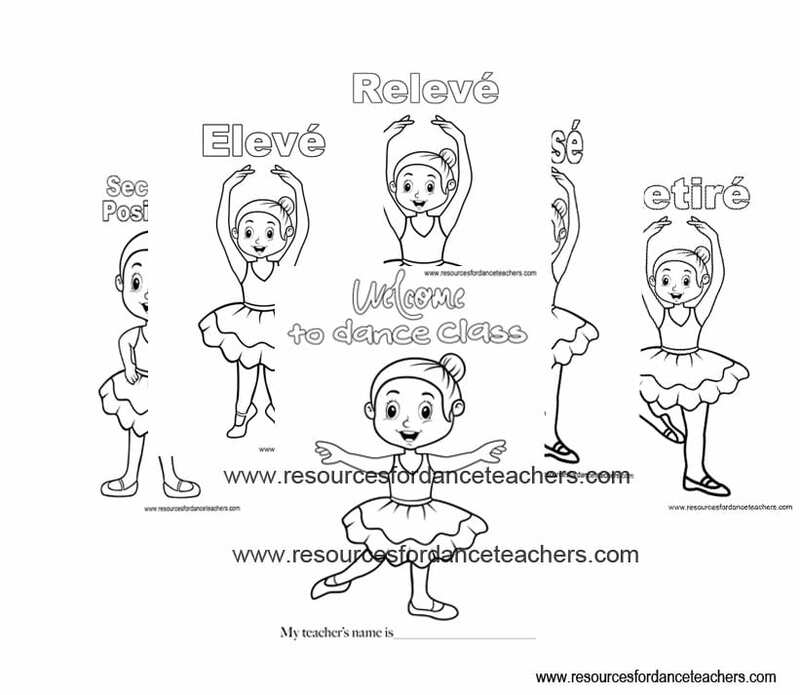 Match the positions and basic ballet steps with the pictures and then trace the names. 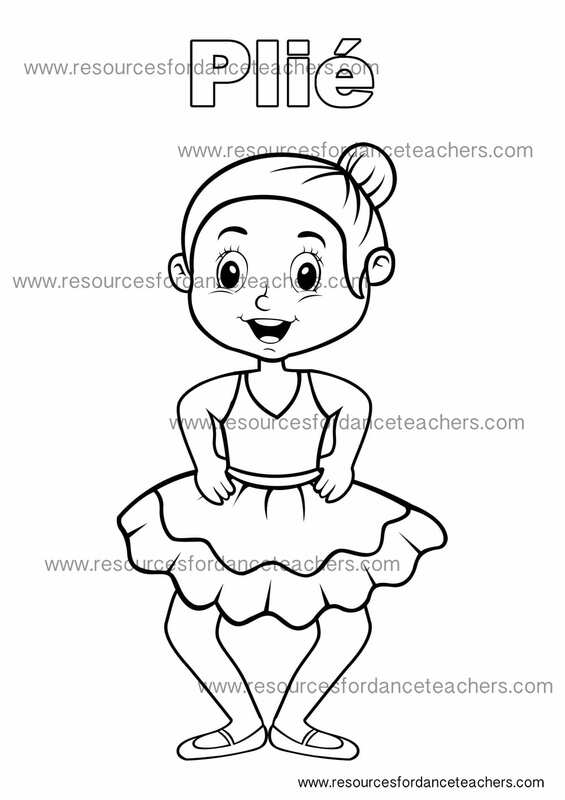 Preschool Ballet Colouring Pages – value pack number 2.